After a competitive eight-month selection process, the three-man Philippine delegation to the international AXE Apollo Global Space Camp in the U.S. this coming December has finally been announced by the Number One fragrance brand in the world. 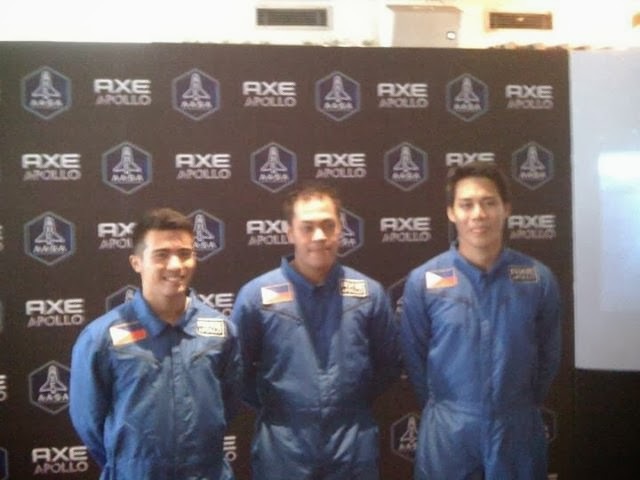 Daniel Angelo Roque, Evan Rey Datuin and Ramil Santos will undergo training missions designed to simulate space flight and real astronaut training at the AXE’s space camp in Orlando, Florida. They will compete among each other to be the best Filipino representative destined to become the First Filipino Astronaut ever. 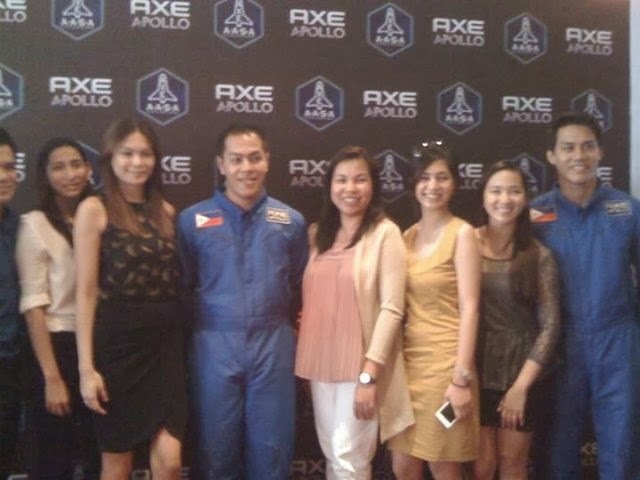 The title of ‘first Filipino in space’ will go to the best candidate, someone all Filipinos can look up – figuratively and literally,” said AXE Philippines Brand Manager, Gem Laforteza. Evan Rey Datuin has proven that he can rise above any challenge and do the extraordinary. This 24-year old Caviteño with a Tourism Degree from De La Salle University Dasmariñas, bested over 4,000 AXE Apollo National Challenges shortlisted candidates in tests designed to evaluate not only physical prowess but also intellect and determination. He previously emerged as one of two finalists from over 28,000 applicants who went through the regular selection process. Originally, a Filipino civilian and his alternate was supposedly intended to form part of a global contingent of 22 astronauts from 60 countries to undergo challenges at the AXE Global Space Camp in Orlando, Florida. “When news that the Philippines was leading in the number of applications in Asia, we were given a third slot to space camp. We decided to do something totally unconventional with it. The AXE Apollo Hyperdrive Promo was meant to select what we called a ‘destiny pick’ – someone not chosen by us or the public, but purely chosen by fate,” says Laforteza. 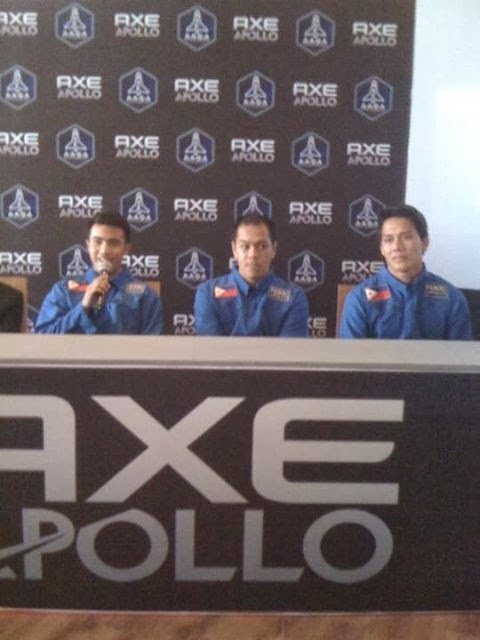 The 3rd candidate to be picked via an electronic raffle promo dubbed AXE Hyperdrive Promo was Ramil Santos, a 29-year old engineerwith a Masters Degree in Electronics and Information Engineering from South Korea. 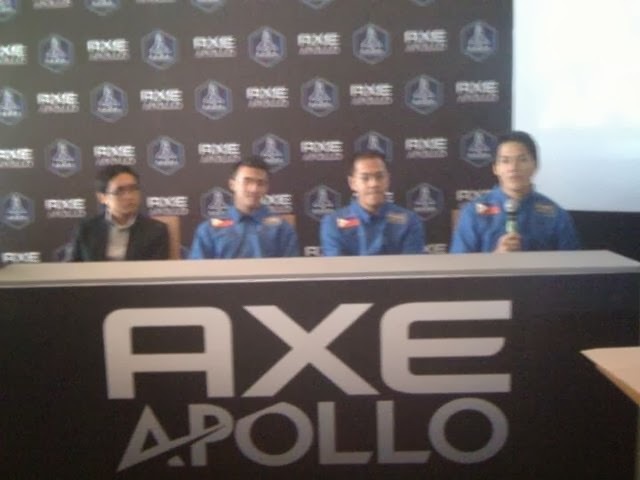 After coming up short at the AXE Apollo National Challenges, he was destined by fate to be the “wildcard” candidate for space camp. 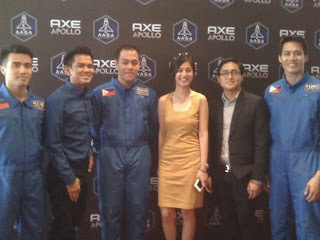 He kept holding on to the dream of winning the last seat to Space Camp through AXE Apollo Hyperdrive Promo. Daniel Angelo Roque is a Psychology graduate from De La Salle University Manila where he played in the football team. His entry into the final delegation was rather unconventional. He replaced Air Force Lieutenant Mario Mendoza, Jr. (one of two original finalists from the AXE Apollo National Challenges), who voluntarily withdrew from the competition to serve his military duties as a pilot-in-training in the Philippine Air Force. Though the youngest among the three delegates at 22 years old, Chino displays physical prowess, but also willpower, discipline, and a strong drive to constantly better himself. Visit www.axeapollo.com or search for #AXEApollo on Twitter or Facebook to follow the search for the first Filipino astronaut. Yes, they still would have to outlast each other. Survival of the fittest for the title! Good Luck to the three finalist..